This is a sponsored conversation written by me on behalf of The Mountain Valley. The opinions and text are all mine. I always love to host a holiday gathering with friends early in December before the rush of Christmas. My goal is always to make it as stress-free as possible. 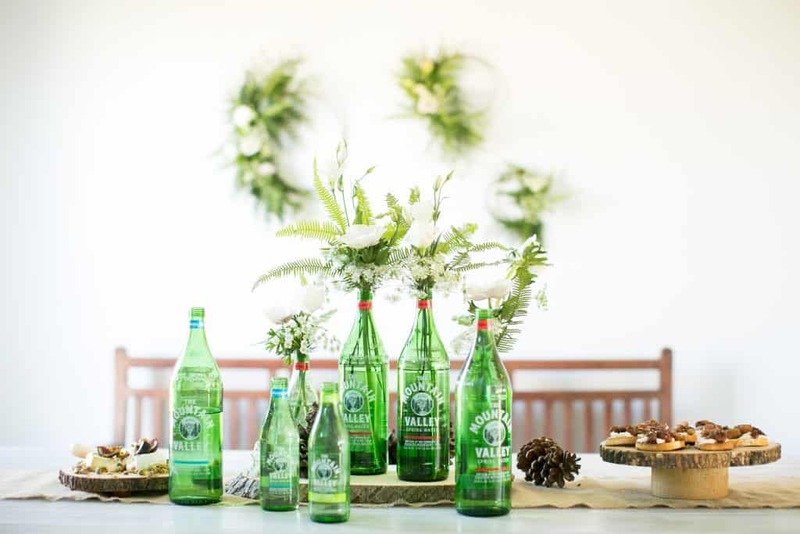 This year I partnered with Mountain Valley Spring Water to bring a wellness element to the gathering. The week after Thanksgiving was the perfect time. 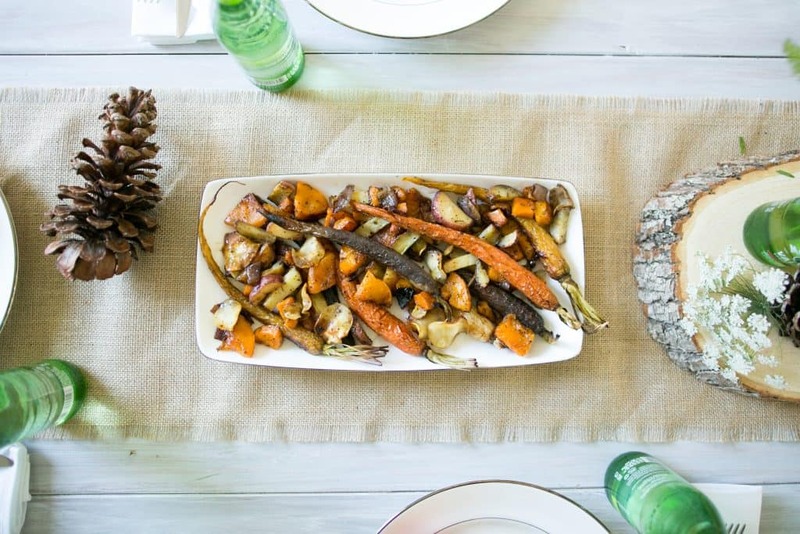 Who isn’t looking for a bit of a reset after so many heavy holiday meals? To set the scene for the party we used the reclaimed wood farm table that my dad made. We added a simple burlap runner and white napkins tied with twine for an earthy look. 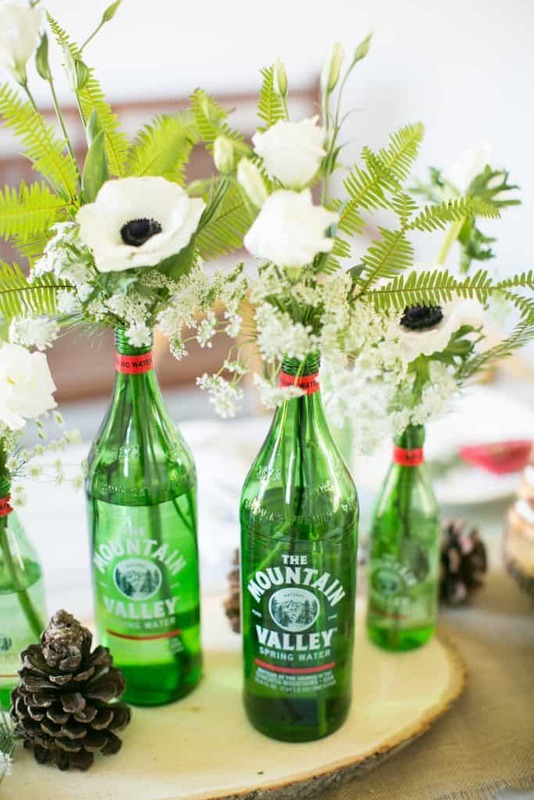 Christie Tarleton of The Farmer’s Florist added simple white flowers and greenery to Mountain Valley’s iconic green glass bottles. They sat on a large wooden slice for a rustic touch. She brightened up a bare wall by adding greenery to three wooden hoops. 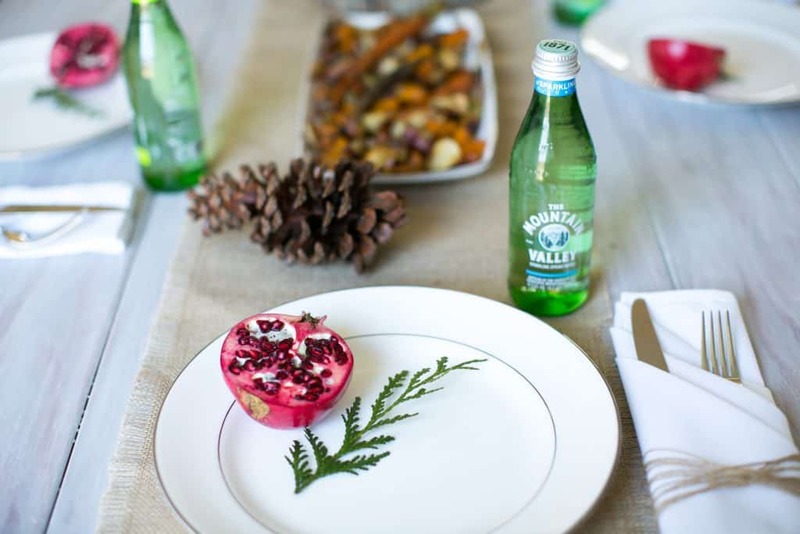 We kept the rest neutral with a few strewn pine cones and white plates, adding a cut pomegranate and a sprig of greenery to bring in Christmas colors, naturally. We skipped the glasses on the table and gave guests individual Mountain Valley Spring Water bottles. Shelby Hall was the mastermind behind our delicious food. I wanted us to have a chance to sit and chat, but not feel like we’d just eaten a huge meal. Plus, the recipes needed to be easy. Because no one wants to cook the week after Thanksgiving. 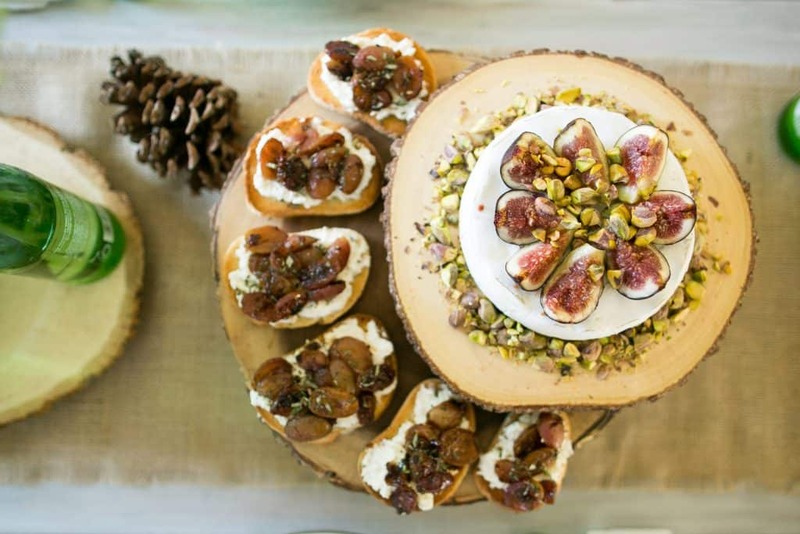 We had a platter of roasted seasonal root vegetables, fig & honey brie melt, and grape-ricotta crostini. And my favorite part: a do-it-yourself infused water bar. Mountain Valley Spring Water comes from a protected natural spring in the Ouachita Mountains giving it a naturally detoxifying high alkalinity, 7.8 pH, and unique blend of rich minerals. I love that it’s bottled in glass to maintain purity. 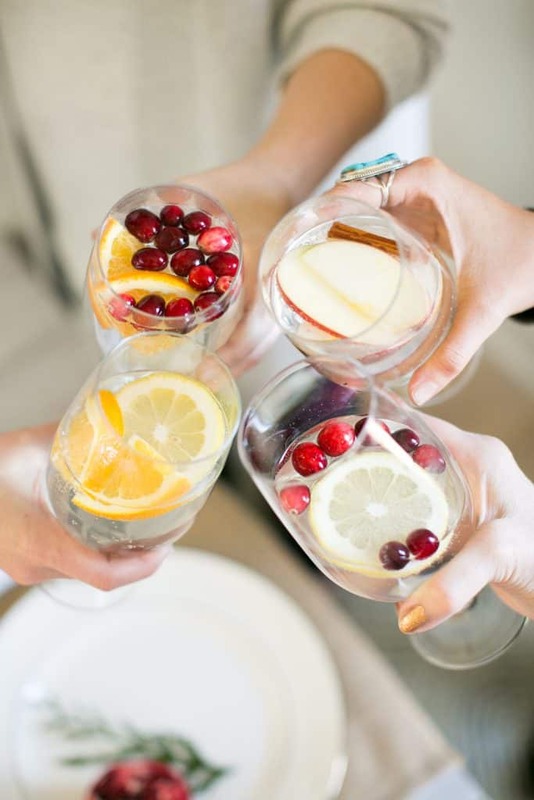 Guests choose between sparkling or spring water and got creative with platters of cut fruit and spices. We gave a few suggestions, but everyone had their own ideas! 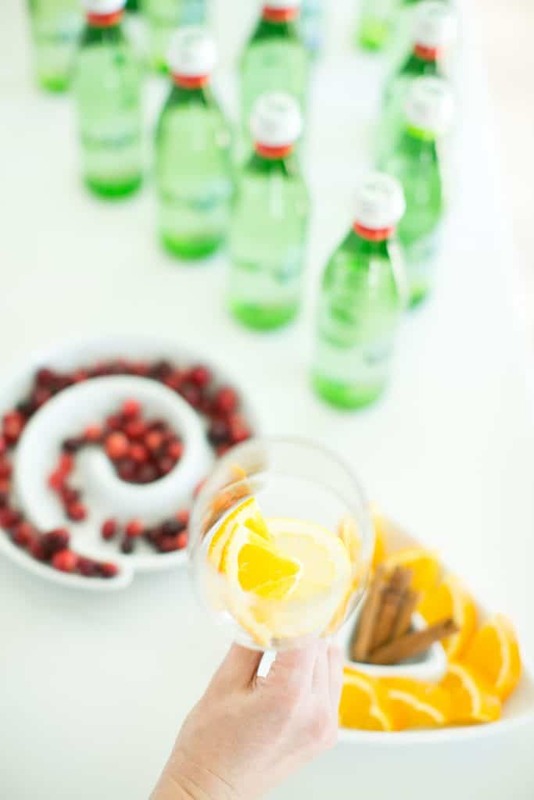 Festive water is the perfect alternative to rich holiday cocktails. You get a touch of sweetness without all the added sugar. 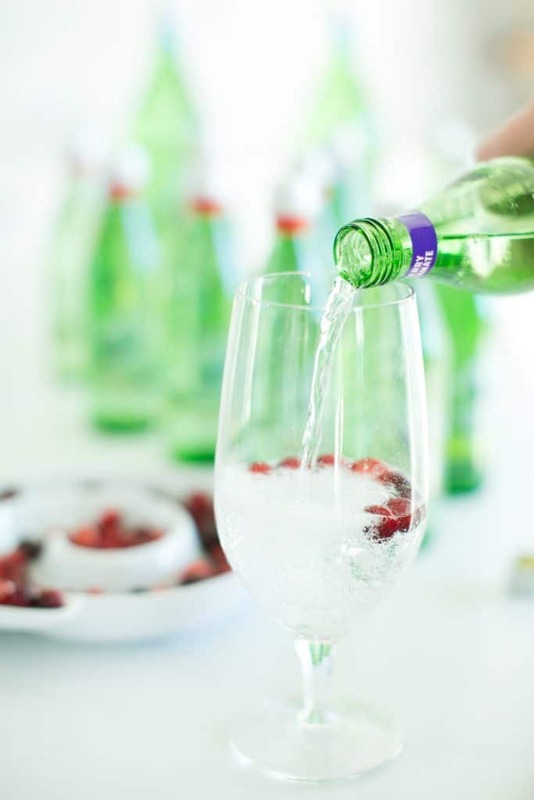 And flavored sparkling water gives you a celebratory bubbly taste. 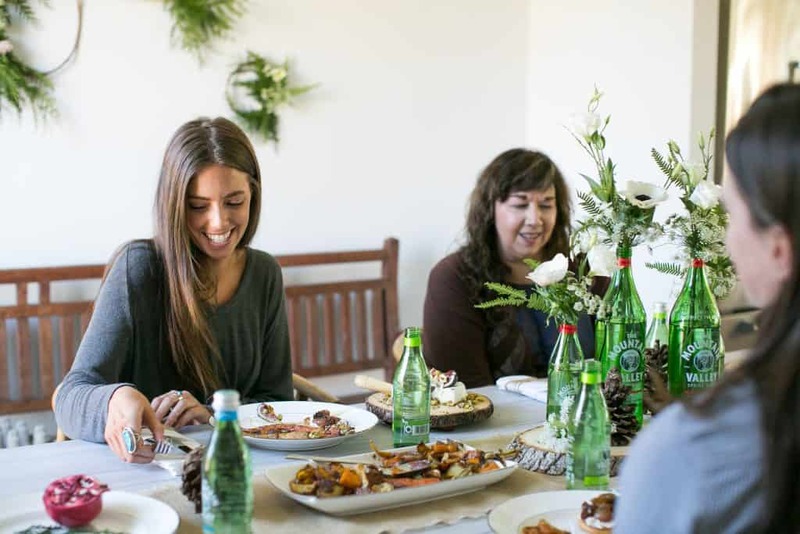 What kind of gatherings do you like to host during the holidays? 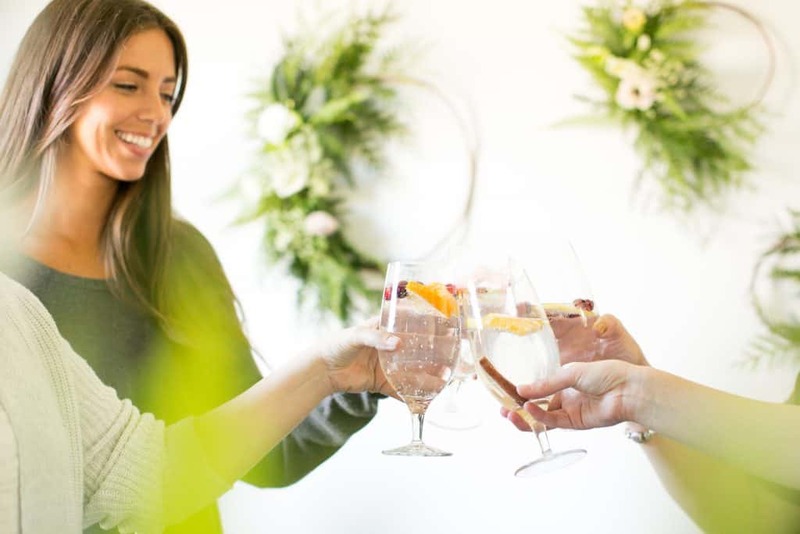 Share your favorite hosting tips and click here to learn more about Mountain Valley Spring Water! And don’t miss your chance to win a trip to Austin. Mountain Valley will award the grand prize winner with 2 tickets to both a VIP dinner event and day long music festival at Luck Reunion in Austin, TX. The prize includes hotel accommodations for two nights and roundtrip airfare to Austin, TX along with ground transportation to the hotel and ranch. The second place winner will receive 6-months of free home delivery, third place receiving 3-months of free home delivery. Enter here! What a great idea! 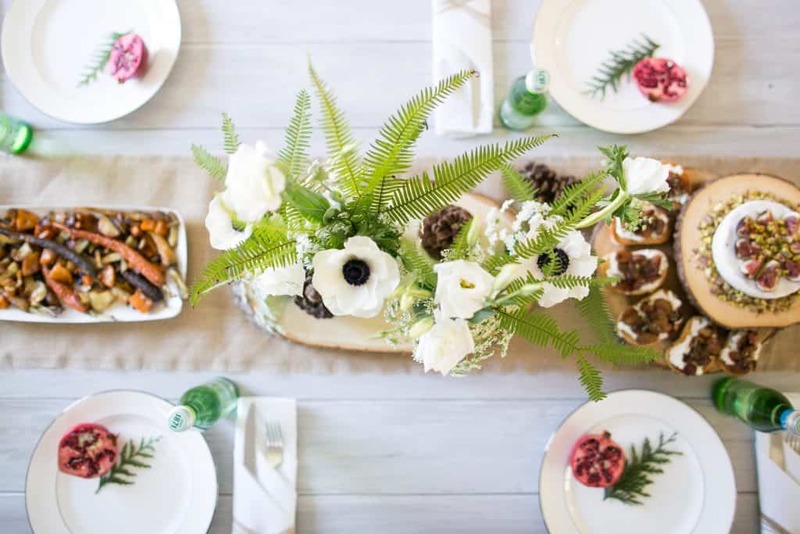 I love the rustic yet elegant table decor as well. 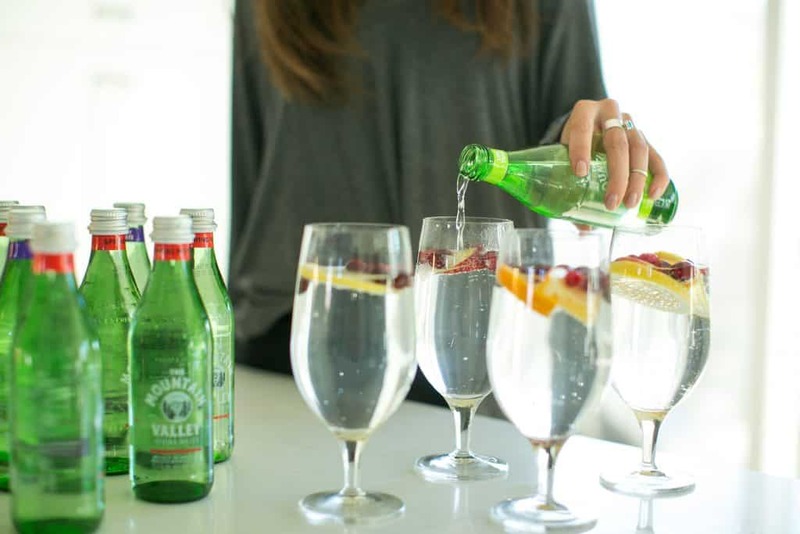 Flavoured sparkling water is such a good healthy alternative! I think I might be trying this for our Christmas day this year!